* 1960 Minneapolis, USA. Lives in Chicago, USA. 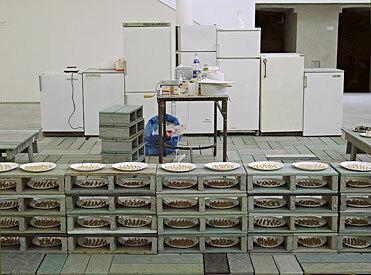 Installation: refrigerators, pasta, tables, utensils.